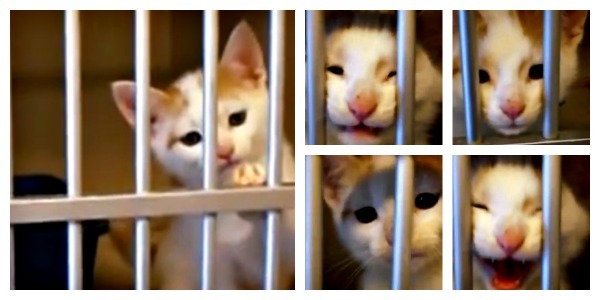 Tiger, the adorable shelter kitten asks his human to adopt him. They say you should let the cat choose you, and clearly, without hesitation, Tiger chose this human to be his very own staff purrson. Raaawr!!! It was so compelling, this good human adopted 2 cats that day. Tiger and Buddy. Would you be able to resist?? I think not! Did your cat choose you, too? Let me know in the comments! Then, click here to share your cat rescue story with me and your kitty could be in my new book!